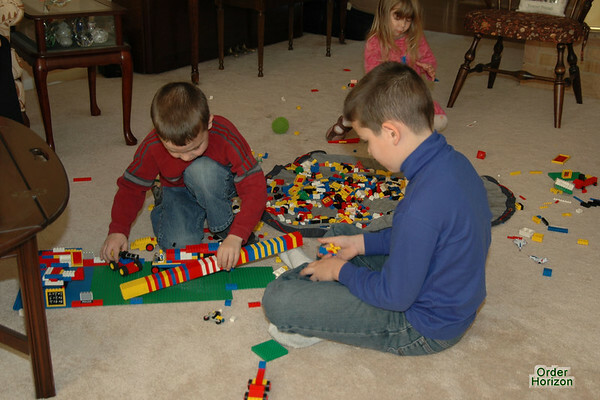 All three of the kids, beavering away at Legos™ at Aunt Debbie’s house over Thanksgiving. I will be milking that set of photos for a long time, so don’t go here and look at them early. Charles has part of an airport constructed, along with a destroyer. Corwin was building some sort of tank thing. Alice just likes it when two pieces snap together.